I love cheesecake. Cheesecake puts me in my happy spot. Crumble & Whisk Patisserie is a more than just a cheesecake purveyor. They are a creator of artistic culinary cheesecake masterpieces. Crumble & Whisk is a company that sells high end works of edible art. Charles Farrier is the owner slash baker slash dessert genius. 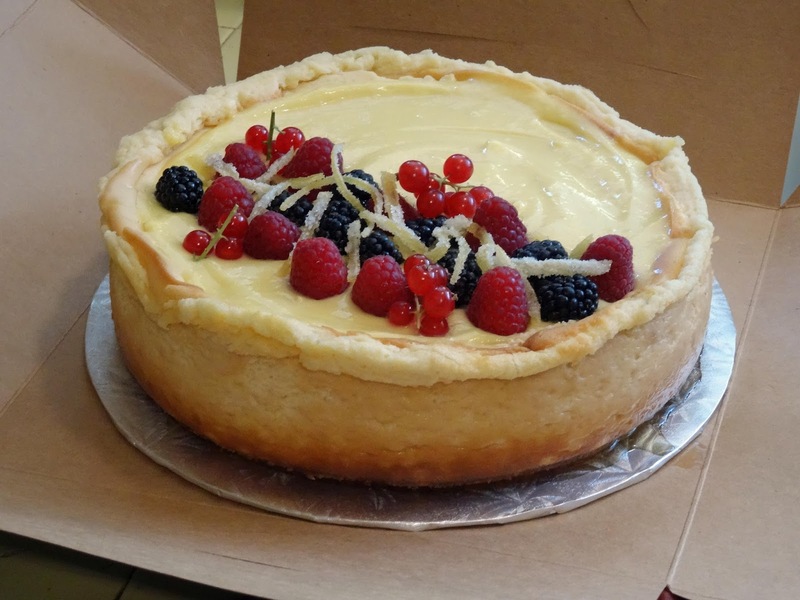 He creates his cheesecakes in a culinary kitchen in San Francisco and sells them online. I took advantage of a Groupon coupon to experience a lemon cheesecake. This cake was almost to beautiful to eat. Of course it did not take me long to experience this decadent treat. 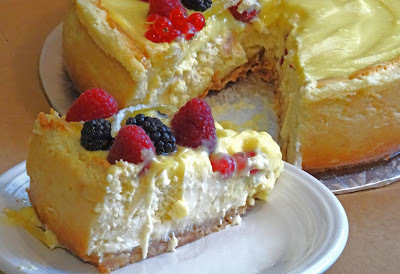 The cream cheese base of the cheesecake was light and fluffy. The crust was crisp and cookie like. The topping was a lemon curd that put this masterpiece over the top. I even had to scold Ms. Goofy for sneaking finger swipes of this delicious and artistic topping. Berries and candied lemon peel gilded the lily. Oh happy days. This was a treat. Wold you like to experience a cheesecake by Crumble & Whisk Patisserie. The contacts are below. Big Dude, I sure do like them myself. Greg, It only stayed intact long enough to take a picture.